There are so many bridges that cross the Seine, as different from each other as they are beautiful. They make me think about the song “La Seine” by Mathieu Chedid and Vanessa Paradisa, a classic for lovers of French music. We decided to take a boat trip at night before having dinner and I must say that the sight of the Eiffel Tower from the Seine was unforgettable. The only criticism I can make was that it was very cold at the end of October so you need to make sure and dress warmly. A lot of boats (“péniches”) offer dinners or musical shows on the Seine but we only had a drink as many of the dinners seemed a bit overpriced. A stroll along the Seine ... is certainly a wonderful feeling, you can see many monuments, Notre Dame, Eiffel Tower, and other points from another perspective, andn some buildings change from your own point of view. Definitely recommended, it is wonderful afternoon full of varying colors vary and you fall in love. The banks of the Seine, in French called "Quais" (pronounced "que") which means spring, are a place of life on sunny days and summer nights. They are an ideal place to sunbathe or walk and see the famous "Paris Plage", where sand fills part of the dock to make a beach during hot summers. From April or May, in the increasingly hotter months, the banks of the Seine nights are full of festive spectacles: Groups who practice ballroom dancing, jugglers to people dancing to his radio cassettes. In Paris, all you need to do is walk -- stop in any of the thousands of cafes -- and walk some more. As night falls, walk back to that charming restaurant you noticed during the day -- or walk in a yet unexplored direction and find that charming restaurant. Bon appetit! You will find nice areas to chill. 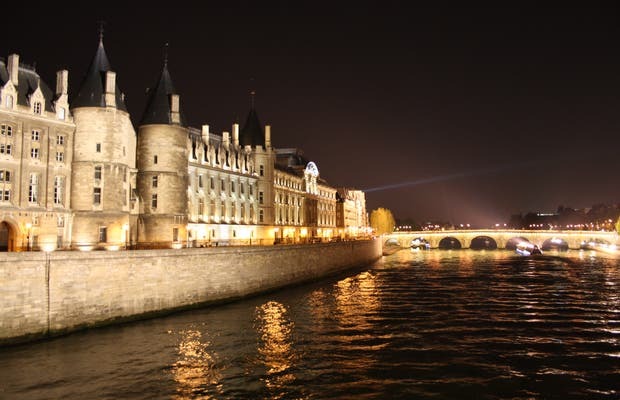 Close to "Hotel de Ville" and châtelet, the Quai de Seine are mostly frequented by students for drinks and music. This is a place when you can take beautiful picture and enjoy a nice time.